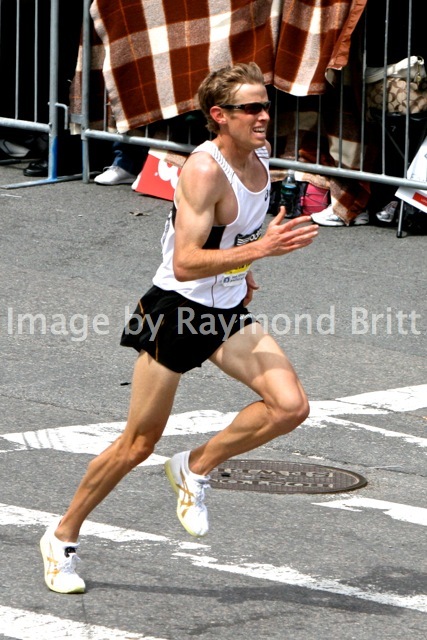 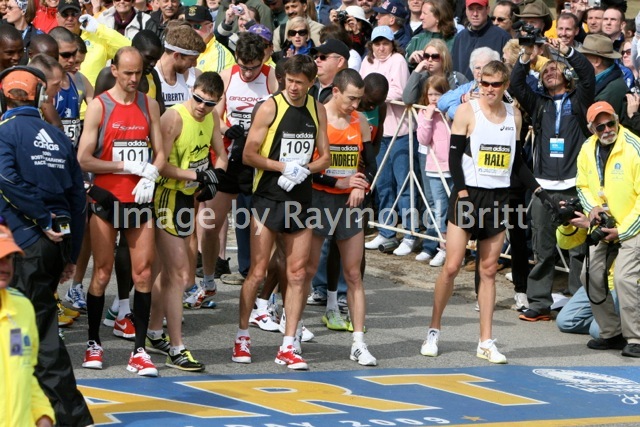 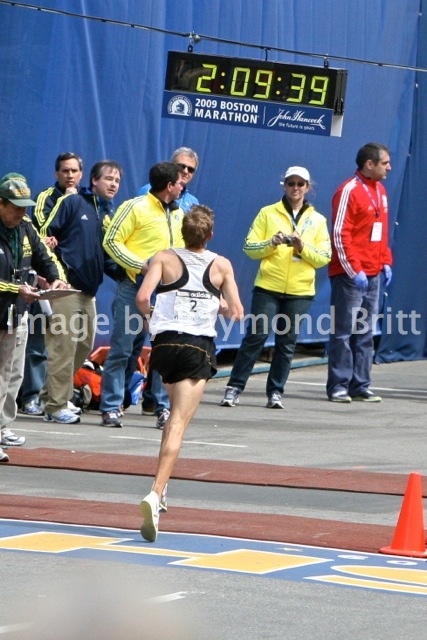 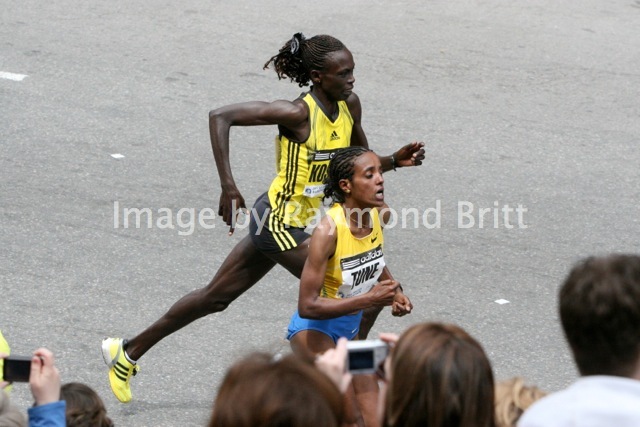 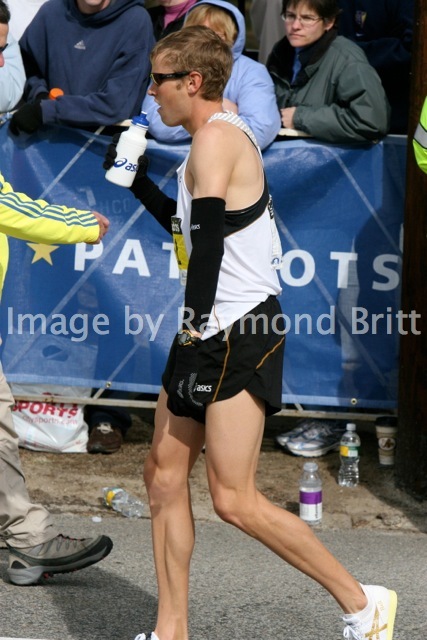 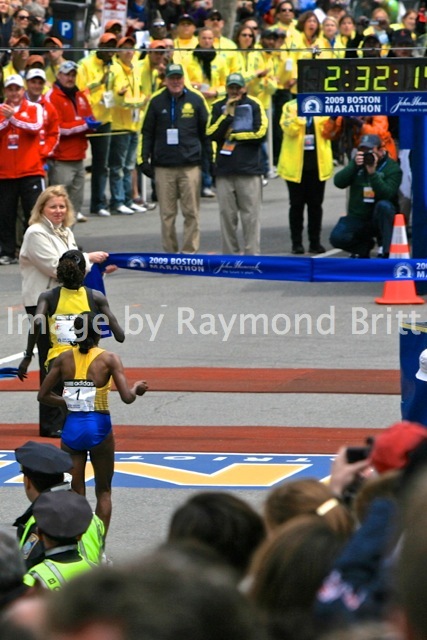 We shot professional photos at the start and finish of 2009's Boston Marathon. 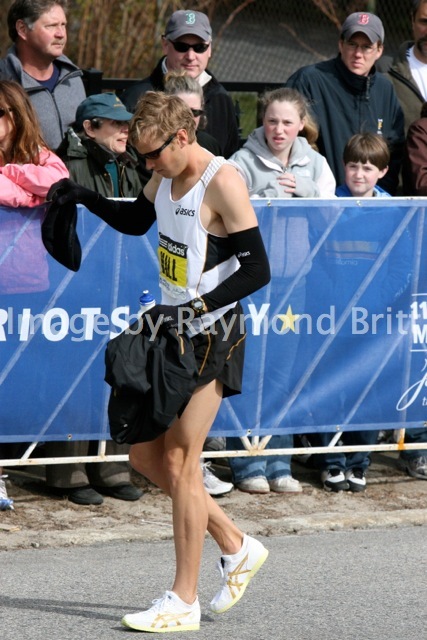 The field of elite runners included Kara Goucher and Ryan Hall from the US, shown here warming up before the race, at the start, and at the finish. 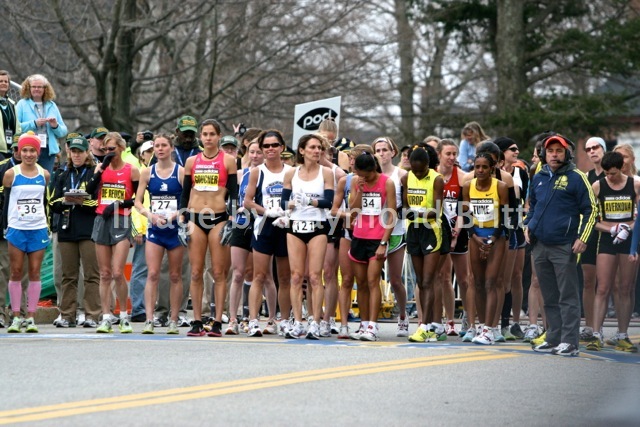 The Women's Race started before the men's race. 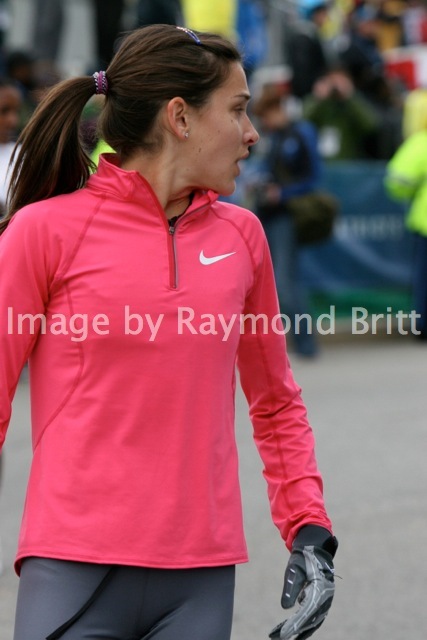 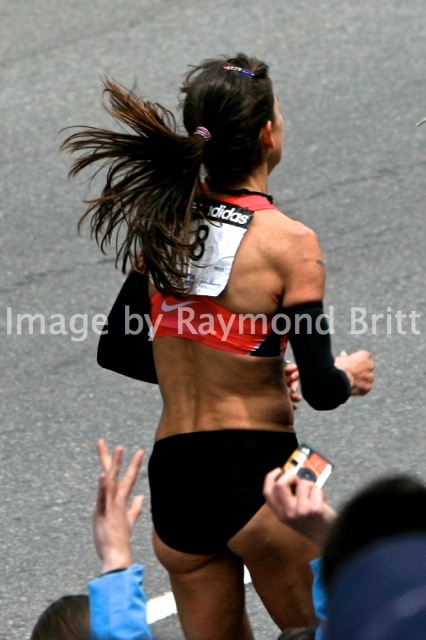 It wasn't exactly warm race weather; both Ryan and Goucher wore gloves and arm warmers to start; Goucher's arm warmers remained in place as she headed toward the finish line on Boylston Street to finish in third place. 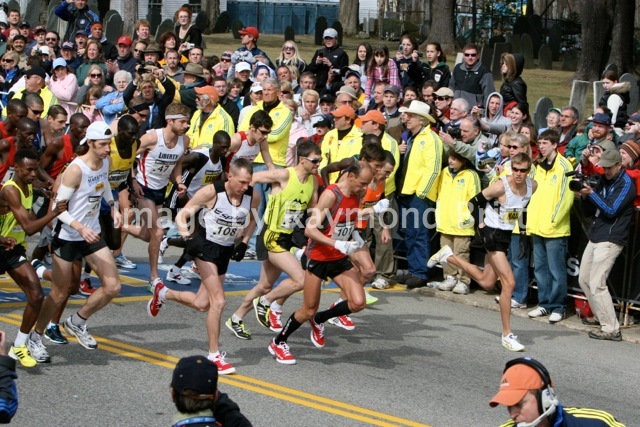 For more, see www.RaceBoston.com.